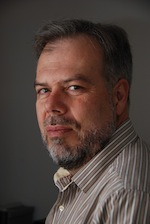 As the Administrative Director of the EILab at the Faculty of Education, UOIT, his major research interests lie in the use of technology and its assistance in learning, the use of action research as a mechanism for the professional development of teachers, and the use of video cases in teacher professional learning. He is currently working on a number of projects (see below). There are a number of goals for these projects. The integration of technology projects are focused on an evaluation of the efficacy of these systems and applications in the support of learning strategies. The major part of his work centres on professional learning opportunities that have traditionally been carried out in face-to-face meetings. He is concerned with the possibilities of moving these opportunities into virtual environments and determining the efficacy of this shift and characterizing the affordances that must be present to meet the needs of the learners.